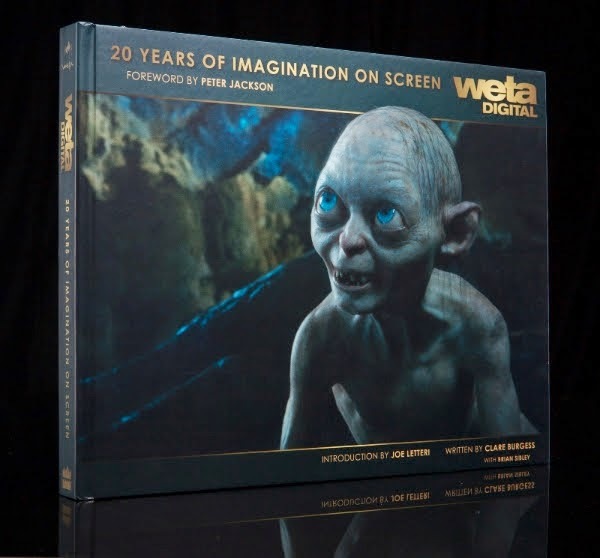 The celebrations of 20 years of film-making from Weta Group will kick off with the launch today of two stunning books capturing the history of the Weta companies. The books, Weta Digital: 20 Years of Imagination on Screen and Weta Workshop: Celebrating 20 Years of Creativity will be unveiled at Weta’s booth at Comic-Con International and are available as a special edition dual set for purchase by fans attending Comic-Con. Published by HarperCollins and Weta, the books are available for pre-order through Weta’s online store: http://www.wetanz.com/the-art-of-film-magic-20-years-of-weta/; and ship in September. The deluxe slipcase two-volume set is an insider's tour of 20 years of film-making magic at Weta Workshop and Weta Digital, the creative companies behind such celebrated films as The Lord of the Rings, Avatar, The Avengers, King Kong, District 9 and The Hobbit. Brimming with never-before-published content, including concept designs, sketches, making of and behind-the-scenes imagery, along with interview material from cast and crew members, it is a stunning look at how the costumes, creatures and characters, weaponry, and visual effects are created for some of the world's most iconic films. 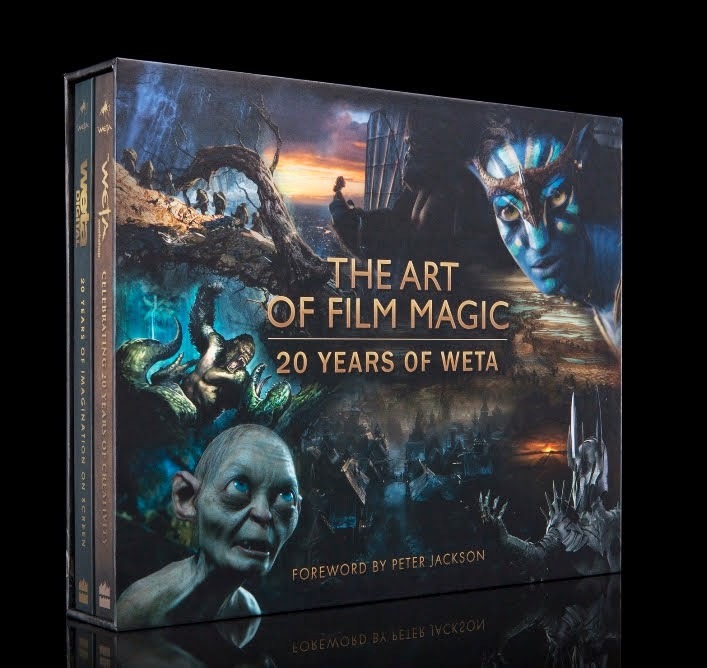 The two-volume set, titled The Art of Film Magic: 20 Years of Weta, includes both books. Weta Digital: 20 Years of Imagination on Screen is a celebration of the people and projects that have defined the first two decades of Weta Digital. One of the world’s premier visual-effects studios, Wellington-based Weta Digital is known for its Academy Award®-winning visual effects for such films as The Lord of the Rings, King Kong, and Avatar, as well as its ground-breaking work on Rise of the Planet of the Apes, The Avengers, Prometheus, and The Hobbit trilogy. Featuring a foreword by Peter Jackson, personal stories and recollections, expert technical insights, and a wealth of behind-the-scenes imagery, the book offers fans an intimate look inside the studio and the minds of the people behind its innovative effects. Visual Effects Producer Clare Burgess wrote the book with the assistance of writer Brian Sibley and countless others who helped chronicle the studio’s remarkable history. Weta Workshop: Celebrating 20 Years of Creativity reveals the extraordinary story of Weta Workshop, an Academy Award®-winning conceptual design and manufacturing studio known for its creations for such films as The Lord of the Rings, King Kong, Avatar, The Chronicles of Narnia, District 9, and The Hobbit trilogy. Along with its film work, Weta Workshop makes collectible art, children’s television shows, and public sculptural pieces. Featuring a foreword by Peter Jackson, the book delivers unprecedented access to behind-the-scenes photographs, concept sketches, and final imagery from all these ventures. Weta Workshop: Celebrating 20 Years of Creativity was written by Weta Workshop Supervisor Luke Hawker, who has been with the Workshop for 14 years. 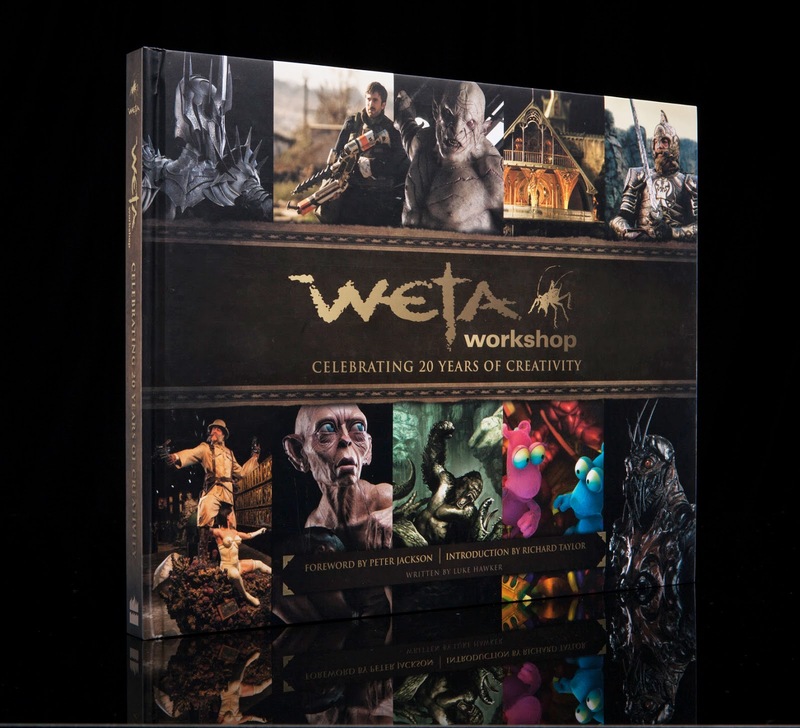 The books are a key part of the celebration as they document, for the first time, the history and achievements of Weta, says Weta Workshop co-founder Sir Richard Taylor. The Weta Group of Companies has their largest presence ever at this weekend’s Comic-Con International event in San Diego (July 24-27). The booth showcases New Zealand creativity, talent and artistry to industry media and thousands of fans. Weta is also exhibiting at the other satellite events in Denver, New York and Utah in 2014. Fans who purchase the books at Weta’s Comic-Con booth have the opportunity to win a special copy of the dual slipcase books signed by Weta Workshop and Weta Digital crew.